He’s one of the great drummers of our time, a designation he’s carried for at least as far back as the 1970s, when he contributed to such recordings as “Aja” by Steely Dan, Van McCoy’s “The Hustle” and Maynard Ferguson’s Primal Scream album. 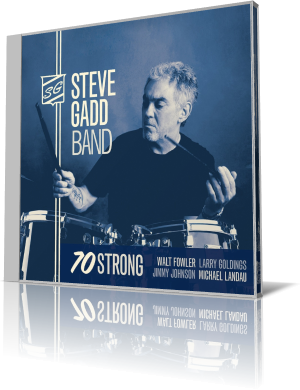 Born on April 9, 1945, Steve Gadd celebrates 70 years as the Steve Gadd Band presents 70 Strong (BFM Jazz, 2015). For this date, Gadd is reunited with his Gadditude ensemble: Walt Fowler, trumpet and flugelhorn; Larry Goldings, keyboards and accordion; Jimmy Johnson, bass; and Michael Landau, guitars. “Foam Home,” co-written by all members of the group, is considered the son of “Green Foam,” a track from the ensemble’s Gadditude (BFM, 2013). This track is like a group therapy session, with all five players expressing themselves as individuals yet maintaining the cohesion of the group. Gadd and Johnson mostly handle background, but they do so effectively. Fowler carries the melody with supplements by Landau and Goldings, and each contributes a solo. It’s a strutting, free-spirited piece. Landau composed the easygoing “The Long Way Home.” The guitar leads with the subtle keyboard and muted trumpet providing an ethereal backdrop. Gadd’s adept stick work on the high-hat cymbals and rim shots add a little spice. Fowler ditches the mute about midway through. Landau, Fowler and Goldings stretch out in turns. 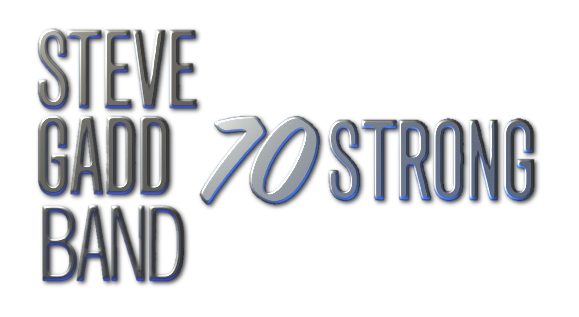 With 70 Strong,” Dr. Gadd continues to build on his legacy of excellence.